Syncronize your existing QuickBooks files with Propertyware for improved efficiency. 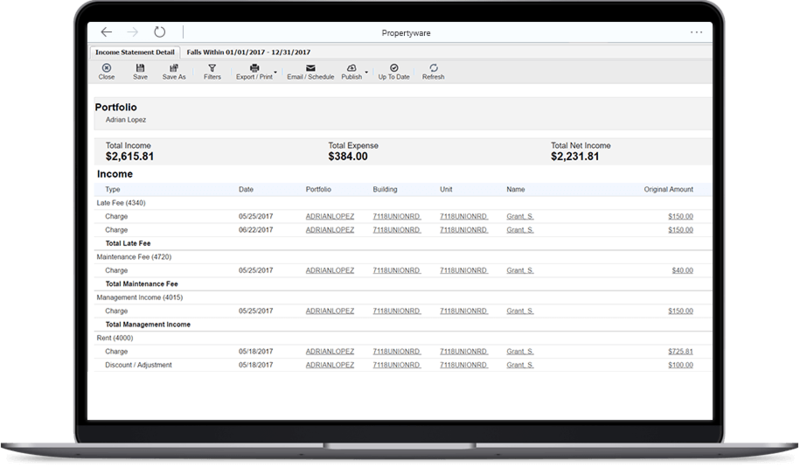 If you are already using QuickBooks and you want to take your property management business financials one step further, Propertyware can also seamlessly synchronize with your existing QuickBooks files for improved efficiency. 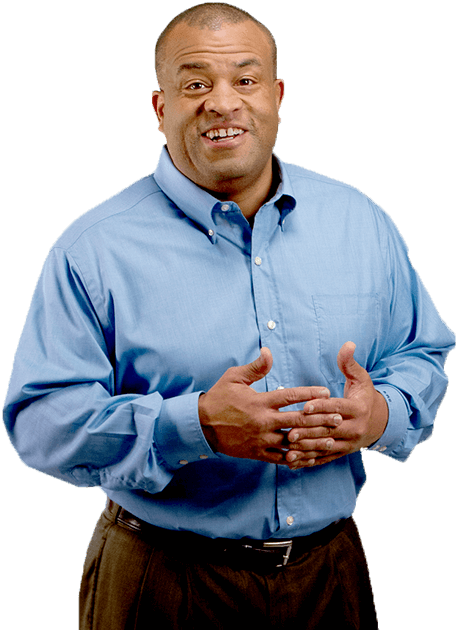 Propertyware is able to accommodate QuickBooks users with the flexibility and ease-of-use they need to use both Propertyware and QuickBooks together. Propertyware Sync is a free downloadable utility that allows you to sync the rental income and expense transactions for certain portfolios to a designated QuickBooks company file. It properly categorizes these files in QuickBooks and provides a transfer report that tracks each sync. This fluid data transfer from Propertyware to QuickBooks gives you better oversight on your investment properties and makes it possible to utilize Propertyware’s customization tools for targeted financial reporting and email alerts to expedite accounts payable and receivables. With Propertyware, you can collect charges and record expenses online using any desktop or mobile device. This enables you to share financial information with property owners, staff, and other stakeholders who may be in different locations. The synchronization feature with QuickBooks also eliminates the need for duplicate data entry. Save your valuable time for other important aspects of your property management business — such as cultivating tenant relationships or growing your business. Your single family business needs a more holistic property management software, but you have concerns. All of your financial systems work with Quickbooks, and you don’t want to switch. Will making a change from Quickbooks to a new property management system force you to run two software programs to manage customer needs with those of the business? According to Accounting Web, disruptive automation of the accounting business is here, and “accounting software is poised to eliminate accountants.” With property management accounting software, you don’t need an accountant to generate data on the financial side of your business – you can do it yourself. Rental property software is an investment in your business success. Leading property managers and rental property owners know that in the long term, the right software solution helps their business become more profitable and efficient. In a perfect world, we prepare for tax season all year long. In this scenario, we are 100 percent organized, all of our records are pristine and all the information we’ve ever collected from a tenant or property owner is complete and accurate. WAs your property management business grows, you work to grow your workforce and your practices with it. Solid property management accounting practices are one of the keys to your business success. When you’re running a business that focuses on managing single family home rentals, how can you keep on top of your accounting and ensure that your employees and tenants remain on top of their budgets and payments?